Like other skin conditions, psoriasis can show up at any time. Some of us may begin finding irritated, itchy, red patches on our bodies during childhood. Others grow up with essentially perfect skin and suffer from psoriasis in adulthood. While stress is a common trigger, many people’s psoriasis results from a poor diet, genes, or issues with their immune system. It’s often hard to nail down exactly what triggers your psoriasis, so help yourself by controlling your skin care routine. When you are affected by a skin condition, you cannot (and should not) use the same products as people with normal skin. Products formulated for people with healthy skin may contain ingredients that aggravate your psoriasis even more. Here are 6 ingredients to cut from your skin care routine ASAP! Your psoriasis will certainly thank you. At first glance, you might not think to avoid tea tree oil because it’s a natural product that’s been known to treat psoriasis. All-natural formulas are supposed to be good for you, right? Not necessarily. Tea tree oil is a common allergen for many, so we suggest avoiding it until you know for sure how your skin reacts to it. Like tea tree oil, fragrance causes allergic reactions for many people. However, dozens of companies add a scent to their products to make them smell like vanilla, the beach, or a field of flowers. While these lotions and soaps smell amazing, they will more than likely irritate your sensitive skin. Pick up some fragrance-free products to help your psoriasis heal. Alcohol is present in antiperspirants, but products that contain alcohol are notorious for drying out your skin, worsening your psoriasis. Consider switching to an alcohol-free deodorant, especially if you have lesions on your axillary skin. This one might be a little counterintuitive. Psoriatic lesions itch, so wouldn’t you want to combat the itch? Yes, but ingredients such as calamine or hydrocortisone can increase irritation and dryness. If you absolutely cannot bear the itching, try anti-itch products, but proceed with caution. While coal tar has been proven to successfully treat psoriasis, it is often messy and comes along with a nasty odor. On top of that, it increases your skin’s sensitivity to UVA and UVB rays. Sounds like a lot of unnecessary hassle to us. It’s easier than you think to find skin care products that helps your psoriasis heal. 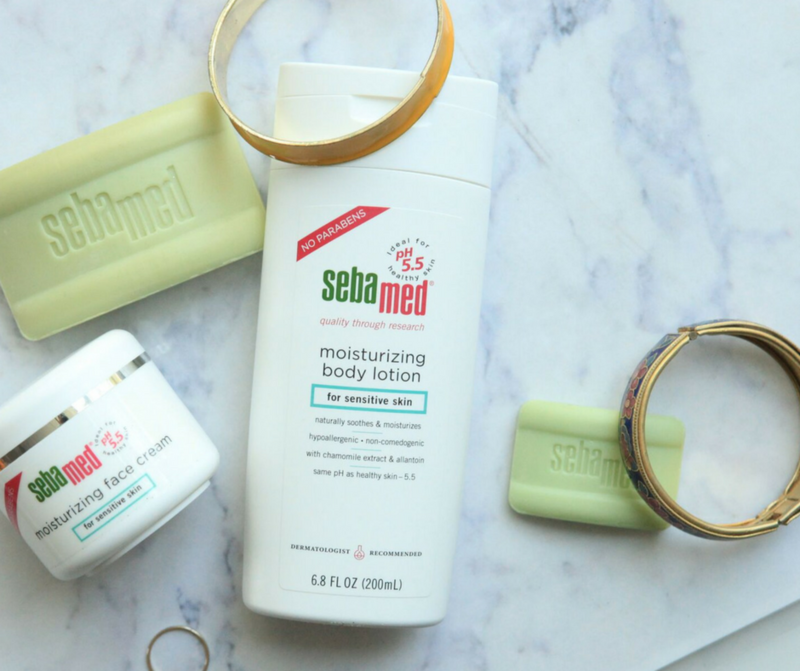 Sebamed offers a wide range of cleansers, lotions, and other items that are formulated to restore your skin’s acid mantle, promoting healthy skin with every use. Before completely integrating a product into your skin care routine, be sure to test it on a small, inconspicuous area of your skin to see how you react to it.